Hello - Whenever a user visits my site (or I view it NOT signed in), the my smugmug user ID/username is shown on the tab in the browser. How can I hide this and just put my website URL or other text? See below. I checked almost every setting on my site design or customizations and don't see where to set/change this. What do you have in the Site Meta Title for your site? Go to Settings... Discover... Search to see (and update) the title. Thanks! I never thought it would actually be in account settings. I was looking under design/content settings. Welps, it's still showing in many other places now. If I view the site in Internet Explorer or send someone a link in Facebook messenger or the main site, it's still showing my user ID. In Firefox/Opera/Chrome it doesn't show the username-which is how I want it to stay. I just checked in IE11, Win7 and I'm not seeing it. Same with FF. I just clicked on your galleries in Firefox (my default) and I see it. It's pulling your username as your name. Look at your Profile and see what your Displayed Name is. I checked my profile, and it's not in there. Weird. 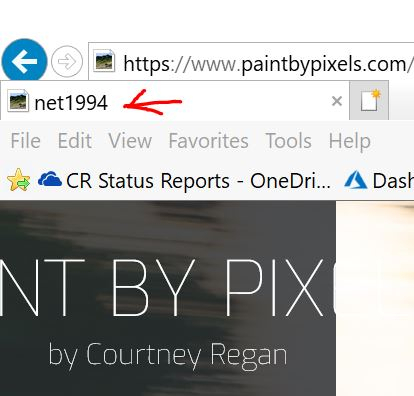 It looks like you may have changed your SmugMug site url as I can't find any trace of the old name anywhere anymore. Can you confirm that you no longer see it?